Location: California/Wisconsin I thought I would share some pictures of the Dodge now home from the restoration shop. It was a tough one to find...had a lead in about 2000 and ended up with that very car ten years later. It was listed in the Harrisburg newspaper on a trip to Hershey in October, 2010. There are only a handful of the 512 made still in existence. Sean Machado had a picture of this car with an '80s restoration at the WPC meet back then. Small world. Chrysler Historical confirms it was sold new in Sacramento at John Drew Motors. Notice the license plate frame, obtained from Big M several years ago. I had it on the '61 Polara wagon, also sold there. The car was white with red interior and pretty standard in equipment. I added power windows and door locks, rear antenna, bumper guards front and back, and air conditioning. I changed the color to black. The red vinyl interior is unique to Dodge that year, as it is antiqued and one year only. Door panels have heat pressing and were made by SMS. Cloth interior was not an option in 1961 on the convertible, and it was tempting to do as the fabric is fun that year. As shown, the car underwent a rotisserie restoration and really had quite a solid body. Location: Ontario, Canada All I can say is WOW!! I wouldn't have even broken stride to check out the white one. But you have , in my opinion, accomplished mission impossible. That is drop dead gorgeous!! Power windows and "factory A/C", fabulous!! Well done. You must be very pleased! Location: Victoria, BC, on Vancouver Island, Canada Outstanding!!! LOVE IT. Is it missing the aluminum seat shields or were they not offered on the 61 Polara? I have part of a set lying around but need completely restored. Location: Bräcke,Sweden Very beautiful. Personally I would have left it white, but I'm biased since My car is white. 361 or 383 engine ? Have you restored the grillemblem yourself ? Location: North Australia The car is a credit to you. Well done making it what it is. Location: California/Wisconsin Thanks for the nice comments. The engine is a 361 bored out to 383 during rebuild. Original grill emblem is restored. No one is re-popping the plastic insert to my knowledge. Dodge did not have aluminum seat trim in 1961. Location: Southern Sweden - Sturkö island Really a sweet ride - well performed work! Location: Ocala, Florida Looks great! Location: Jamaica Plain, MA Beauty! Location: Washington,DC Nice job Polarapaul. Do you have picture of your 1961 Polara wagon. Location: atlanta Nice car, but not unique enough, I musta passed 3 or 4 of those verts on the way to Wal-Mart this afternoon. :-0 Stunning car, congrats. Location: little rock, AR That black really makes that Vert stand out. All of Virgil's cars have there own character. Thats great that this car survived a time when people turned there back on the FL cars. Location: Washington,DC That wagon is super cool. Thanks for the picture. Love the cars. Doubt you will ever part with the wagon, but I love it. Nice to see someone do it there way and not get too much lip about it from the original guys. Location: Mystic, Connecticut I just found this thread. Wonderful cars, beautiful work and really gorgeous interior and exterior color combinations. Location: California/Wisconsin Just had a correct roof rack put on. Location: little rock, AR It doesn't get much more Exner than this!!! Greeeeeeat pair that you have there. Location: Upplands Väsby, Sweden Wow super nice renovatiing at your Polara 61 conv. 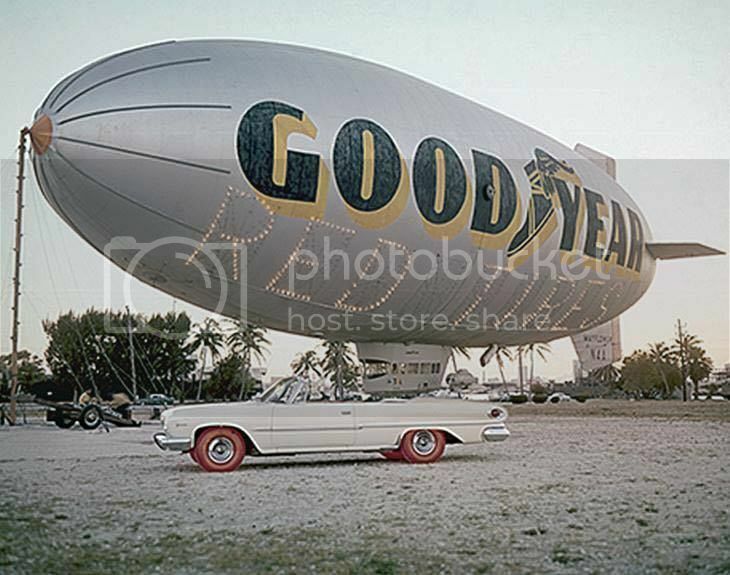 Location: DFW, TX Paul, were you aware that Goodyear had an ad campaign in '61-62 that had several cars wearing translucent, illuminated tires? 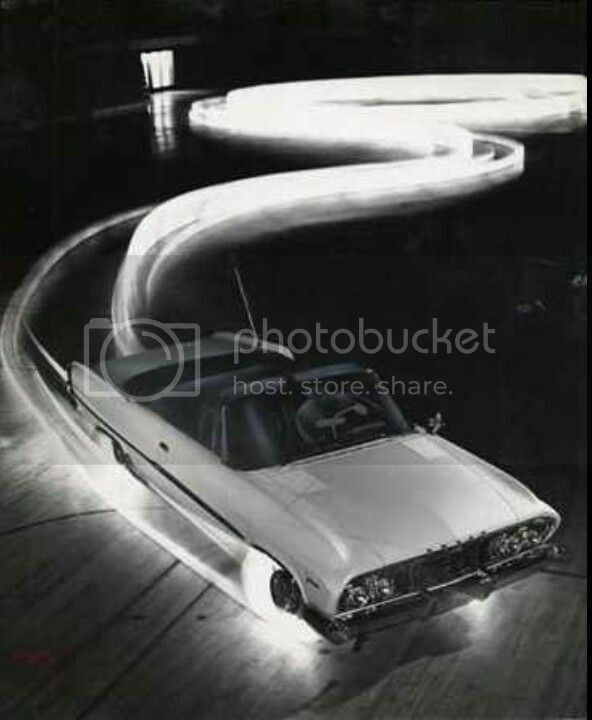 One of the vehicles they featured was a .... white '61 Polara convertible. Location: Branson, MO Cool! Would love to have the car - would even give up my DeSoto for it. Location: California/Wisconsin My 1956 D500 Dodge La Femme is in background. This was at the Concours de Elegance at St John, in Plymouth, Michigan in 2014. The La Femme received a trophy for the Best Use of Color at the show and it included Virgil Exner Jr. as a judge for the Forward Look cars displayed.